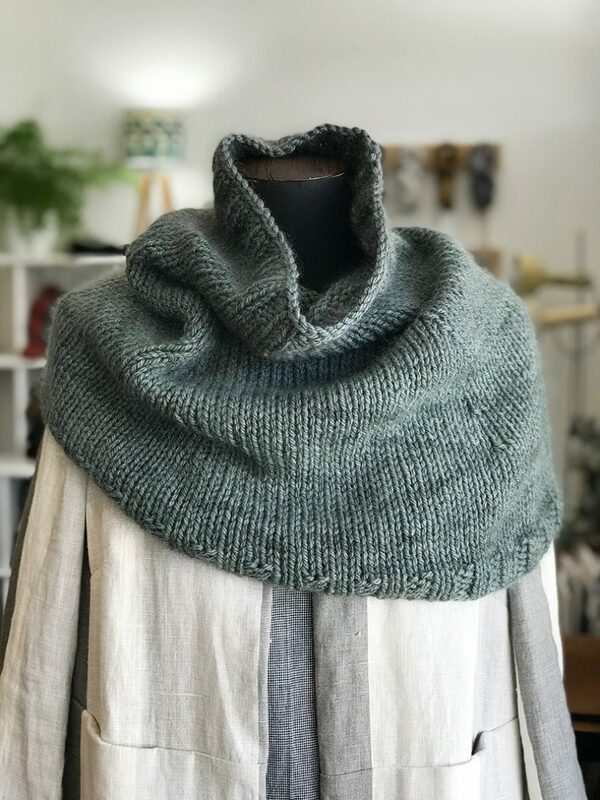 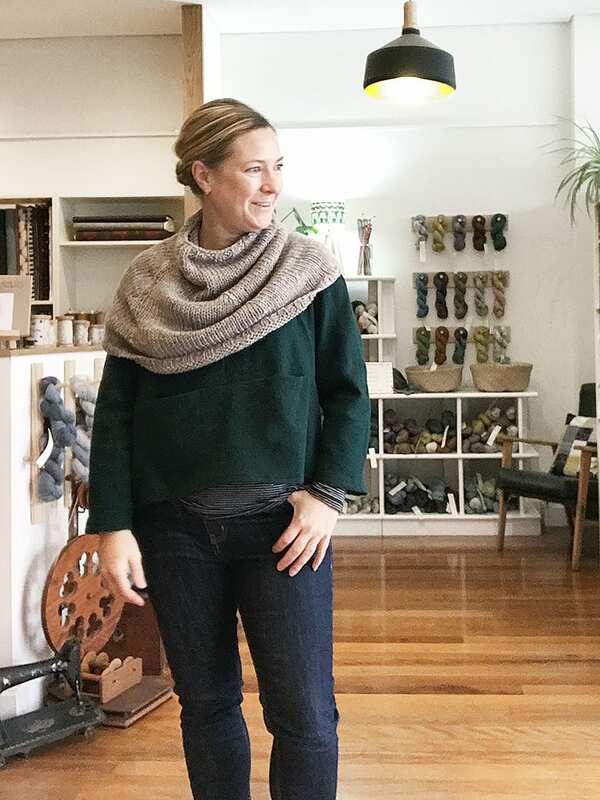 Deliciously soft, light and fluffy but gloriously warm, this shawl-like cowl knits up quickly in the round with 10ply yarn and large needles. 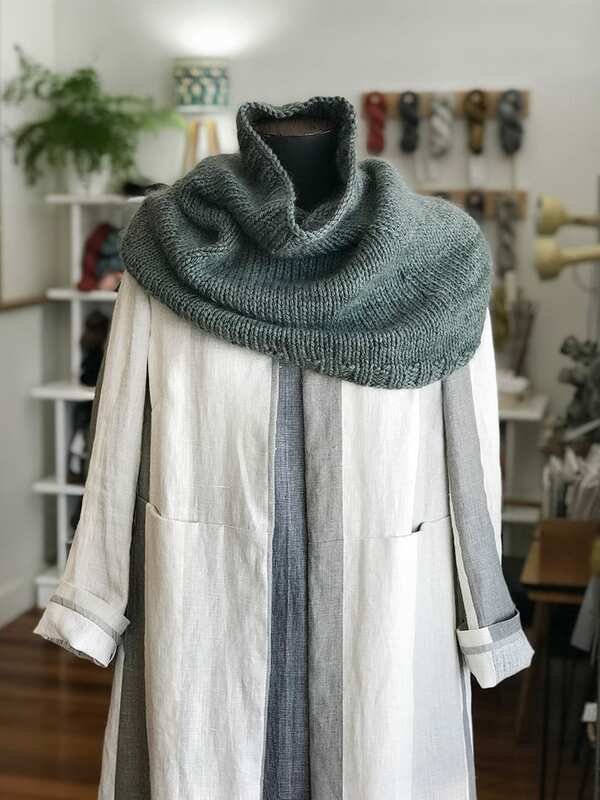 Perfect for beginners with simple stitches and one-size-fits-all shape. 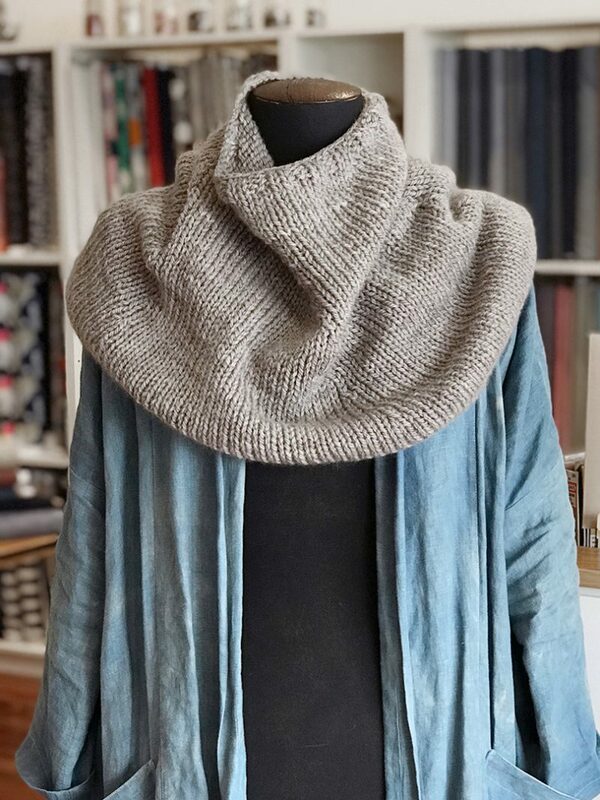 Finished Size (unblocked): approx 34cm wide at neck (72cm circumference), 44cm tall and 64cm wide at shoulder (128cm circumference). 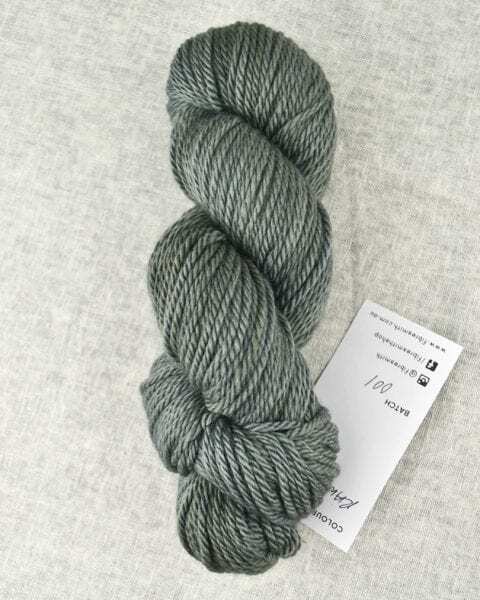 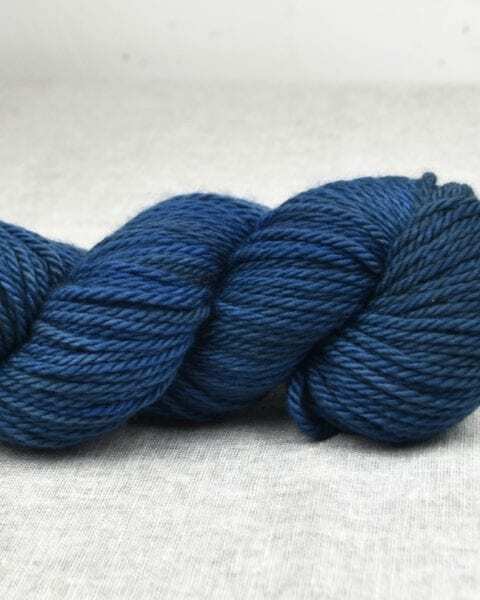 Yarn: 160g/266 metres of Fibresmith Hand Dyed Aran Merino (two skeins, you will have some leftover for another project) or equivalent 10ply yarn. 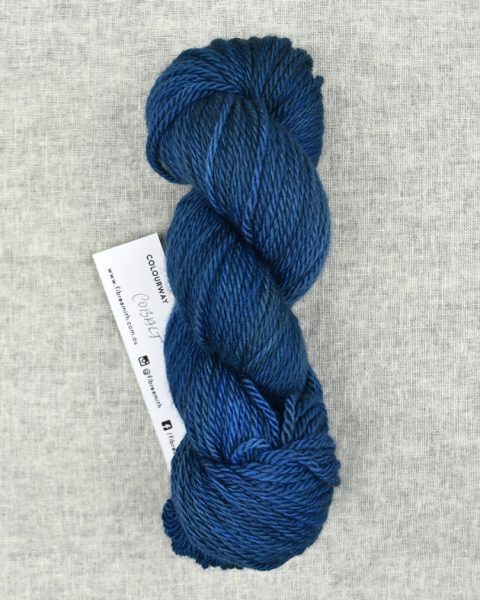 Knit with a strand of Fibresmith Kid Mohair/Silk Lace (less than one skein) for extra soft fuzziness! 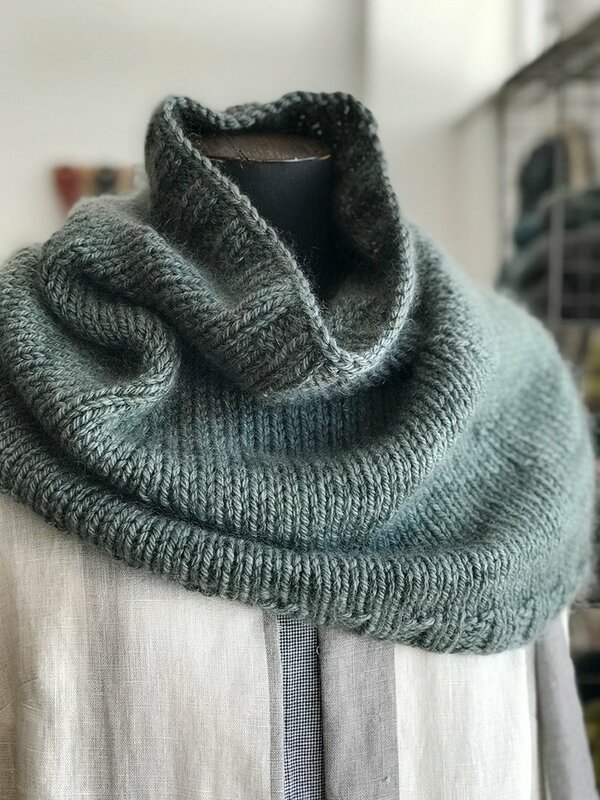 Green sample shown in images is knit with Fibresmith Hand Dyed Aran Merino, held together with a stand of Fibresmith Kid Mohair/Silk Lace, both in Raw Jade colourway. 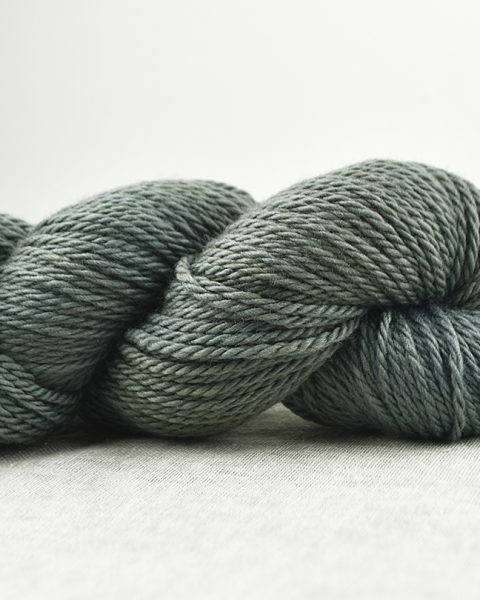 Warm grey sample shown in images is knit with Fibresmith Hand Dyed Aran Merino in Dove Down colourway.